I am a big fan of Felicity Cloake’s “How to make the perfect…” column in the UK’s Guardian newspaper. She saves me a huge amount of time and energy by testing the same recipe on loads of different cooks and then taking the best bits out of every recipe to come up with the “perfect” dish. Genius idea, don’t you think? She has now published a book of her best recipes. Spag bol, poached egg, mayonnaise and brownies… all things I have wondered how to make and now have the solution for. I love the fact that they are all basic, simple recipes but they are all the kind of dishes that can either be sublime when done well, or taste like the sole of a shoe. 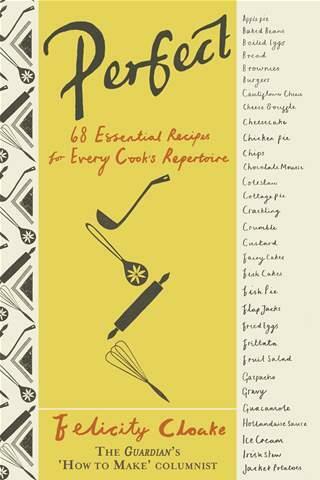 I cannot wait to start cooking with this book! Sounds great so I just bought it! What a genius idea! I’ve never heard of her before, but I love the sound of her book (and must check out her articles).